Boat storage you can count on can be found at Blue Mound 287 Self Storage. Give us a call today at 817-413-1380 and find the right storage solution for yourself. We offer three types of boat storage options to fit your needs including outdoor storage, covered parking storage and indoor boat storage. Maybe it’s time to relax and securely protect your investment with boat storage at Blue Mound 287 Self Storage. Maximize your protection with secured indoor boat storage complete with electrical outlet and air conditioned storage. Your boat self-storage can be uncovered, covered or completely enclosed in a space up to 100 feet. Security is computerized with state of the art with individual door alarms and disc locks. The boat storage buildings at Blue Mound 287 Self Storage are well lit. We have security cameras throughout the premises so you can pick up and drop off your boat at night with ease and security. Our wide lanes also make it easy to maneuver. Your need for boat storage in Fort Worth is worth driving a few extra miles for the peace of mind and value you will receive in this exclusive secure self-storage facility. The management at Blue Mound 287 Self Storage understands that your boat was a large investment and has created the convenient, secure and most excellent value for boat storage in the area. Call today for sizes, rates, availability and for more information! Keeping your boat clean and barnacle free with dry boat storage will allow you to enjoy your investment more with minimal upkeep and peace of mind. Whether you need to access your storage unit daily or just periodically, we can accommodate your needs. Why clutter your own garage or yard and expose your boat to extreme weather conditions? Protect it with us! We make it easy and offer amazing deals in the process. Anything that you need to store can be safely and confidently stored with us! Ask for more information by phone or email davidb@rdsinvestments.com today to de-clutter your life! With us, your property is always in good hands. Ask about our climate-controlled boat storage options for ultimate protection! If you own a boat, whether it is new or you have had it for a while, the time to consider your boat storage options is NOW! Do not wait for something to happen to your boat for you to decide it needs protection. Just South of the Alliance Area, in North Fort Worth, you will find everything you need to protect your investments. Together, our trained professionals will help determine what storage option fits your needs best. We proudly serve the surrounding areas as well with short and long-term lease options available. 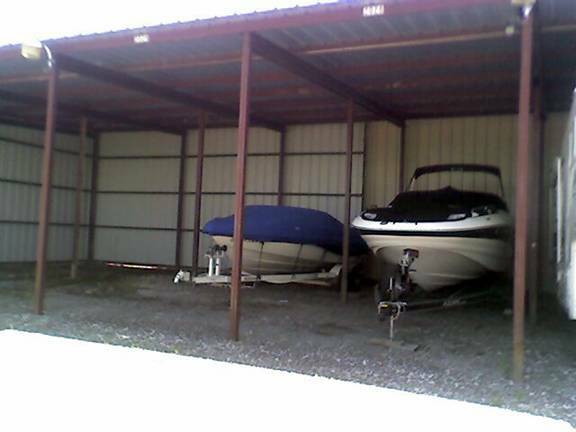 If you are looking for high quality and competitively priced boat storage Blue Mound residents can’t get enough of, your boat has found its home at Blue Mound 287 Self Storage. We are here to give you options, options that keep your best interest in mind. Don’t wait another minute, call today!